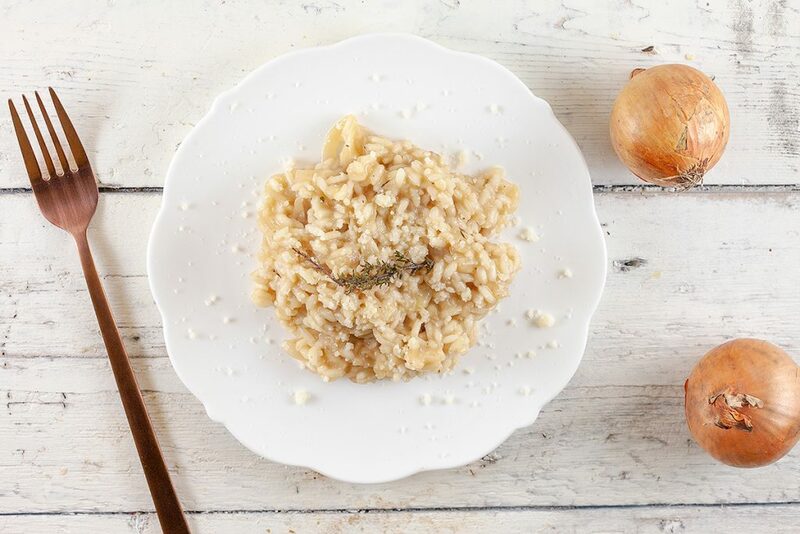 This French onion risotto is a bit similar to the well known classic onion soup. 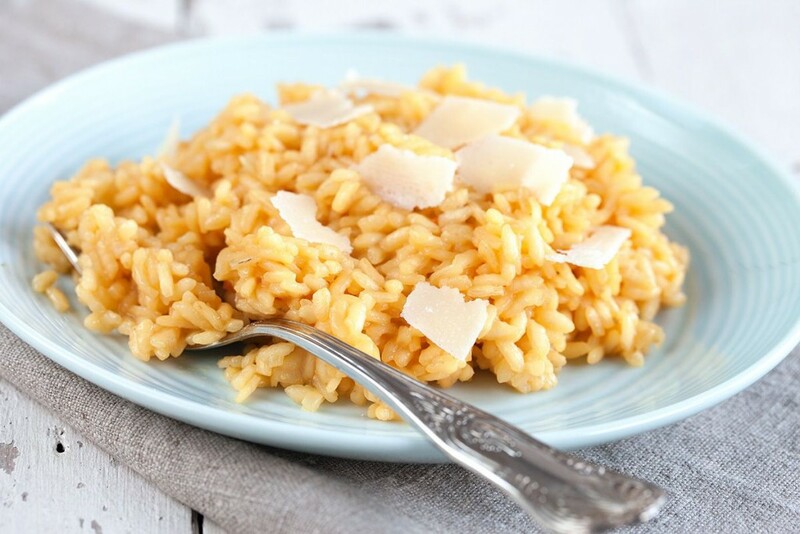 An easy vegetarian risotto that’s ready within 40 minutes. 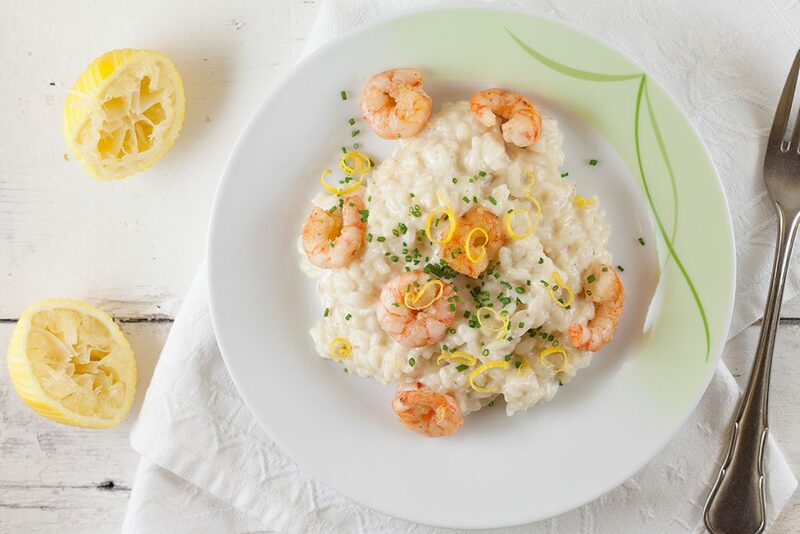 This creamy lemon risotto with shrimps can be served all year round, cause it’s so delicious and don’t you just love lemon? Extra delicious with garlic shrimps and mascarpone. 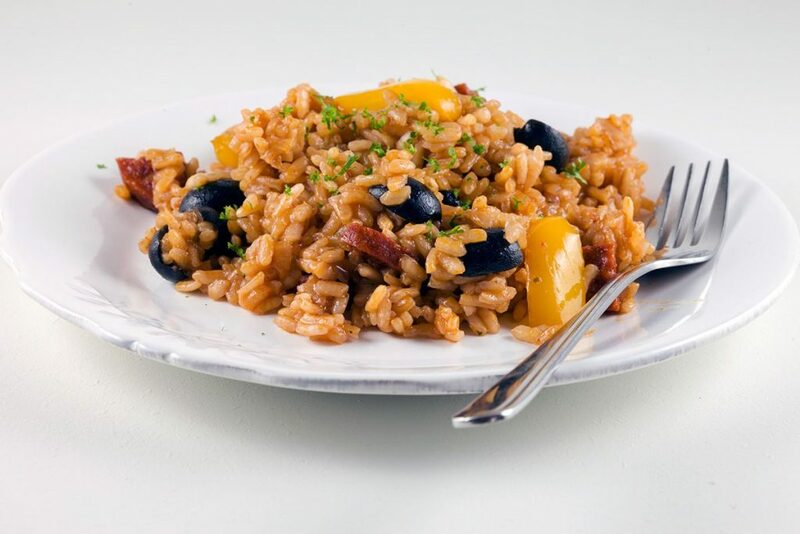 This chorizo and pepper risotto is gluten free, and also lactose free! 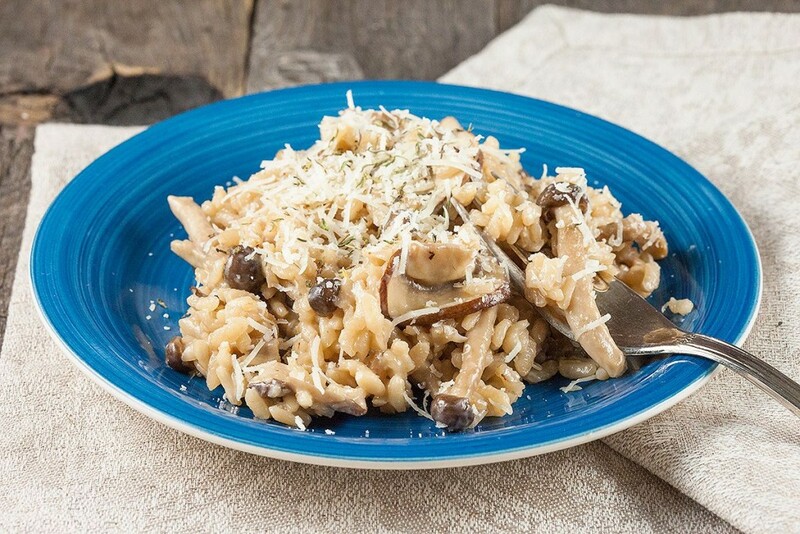 An easy and delicious one pan meal with lots of flavors and even red wine. 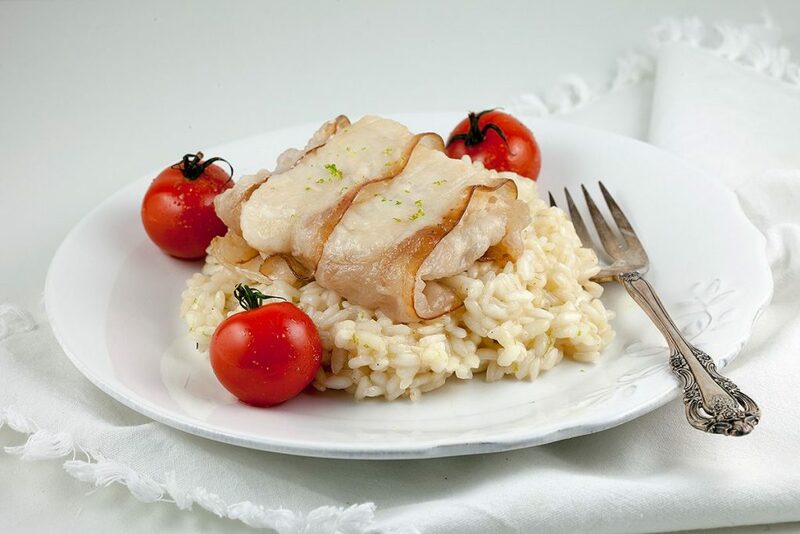 This bacon-wrapped cod with lime risotto complements eachothers flavors. The refreshing lime, the salty bacon and softness of the fish. Mmm! 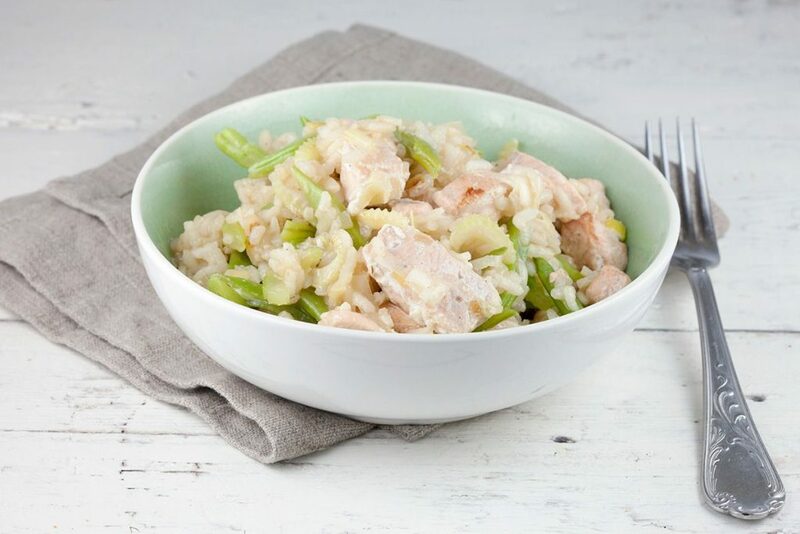 A good salmon and flat bean risotto isn’t hard to make. Give it a refreshing taste by adding celery stalks and lemon, perfect for spring time. 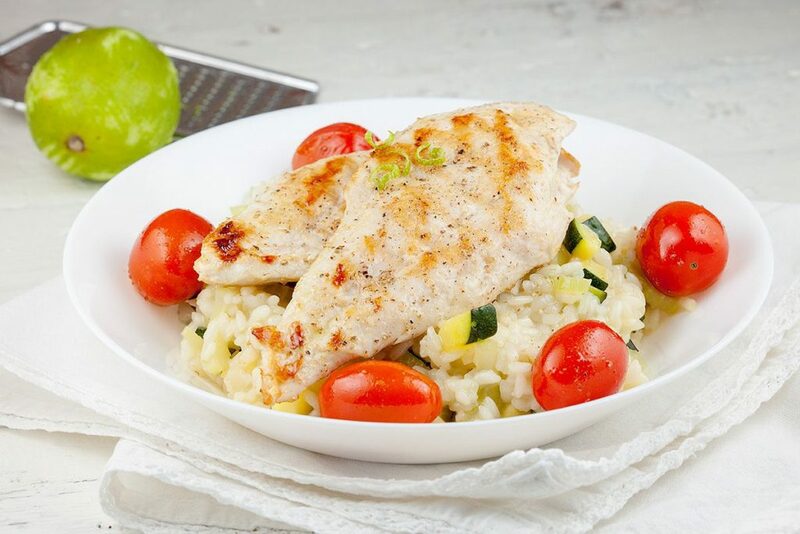 Cheesy grilled chicken risotto is served with roasted cherry tomatoes, zucchini and celery stalks. Refreshing and light spring or summer meal! 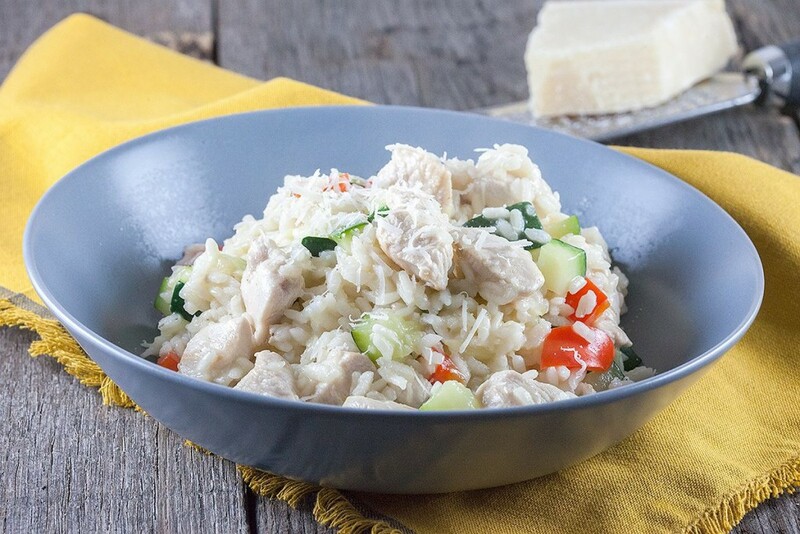 This risotto with chicken and zucchini is cheesy flavorful goodness! 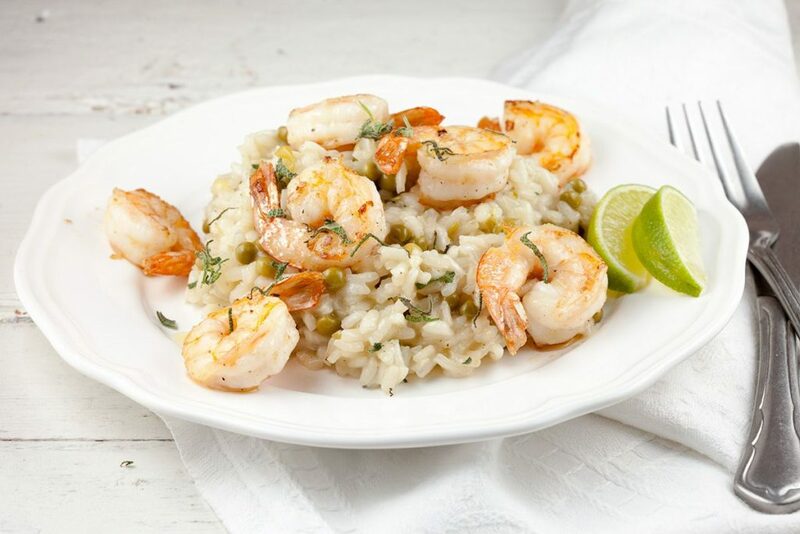 Great as a weekday meal. Ready in half an hour. Recipe for 4. Yes! It’s pumpkin season! 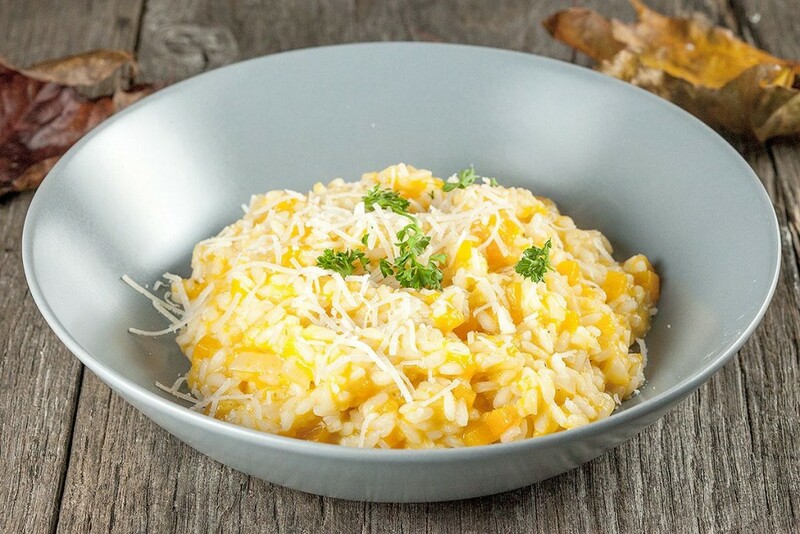 Pumpkin risotto has so much flavor to it, it doesn’t need any other flavor to be added. 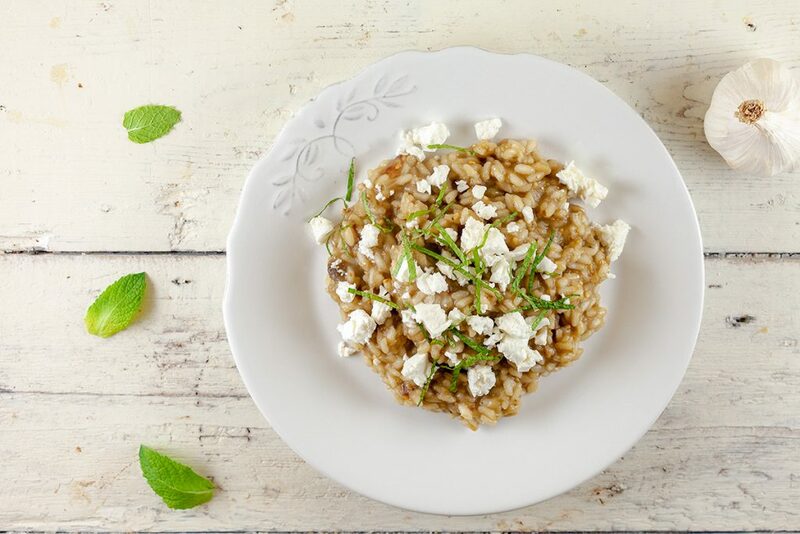 Simple and delicious, just perfect!